SmalTec isn’t just a one-time service and machine provider; we strive to truly understand our customers’ unique needs and become a trusted partner in their business. Our work doesn’t start and end at the product. We work alongside customers to develop partnerships spanning the early research and development stages to post-production inspections and continued support long after project completion and production implementation. The steps listed here are only the tip of the iceberg. We welcome the opportunity to discuss with you just how we add value at each and every step to optimize your production; we call it the SmalTec difference. 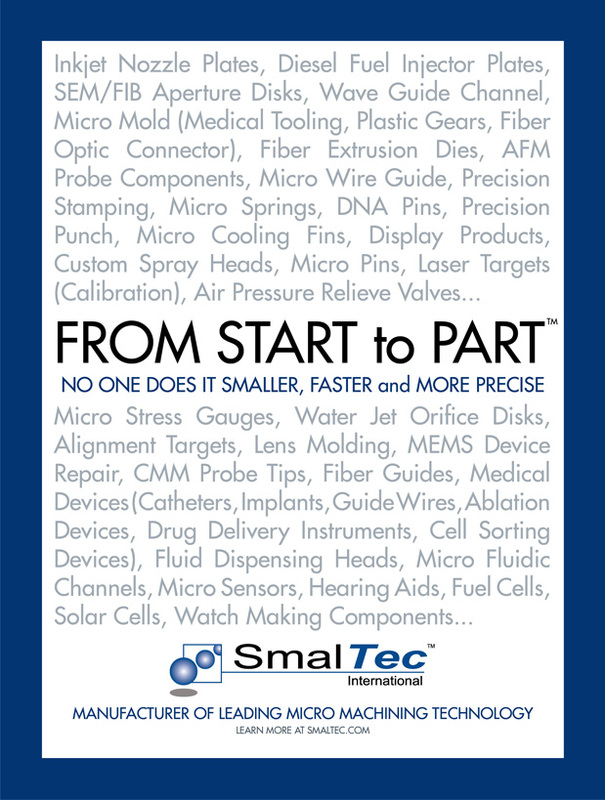 The SmalTec team combines in-depth industry knowledge with technical expertise to create solutions that bring real, significant tangible value to our customers. We understand that success is both an individual commitment and a team effort, and we believe improvements and developments in micro-technology are a result of this fellowship. That’s why an important factor in all of our solutions is creating interdependence with others. Over the years, we’ve formed many strategic alliances to offer best-case solutions, and we strive to form this same relationship with every customer that challenges us with their unique application.